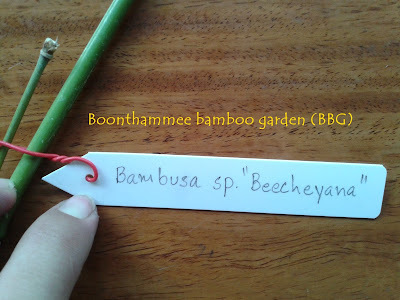 Bambusa "burmanica" — Cultivar. 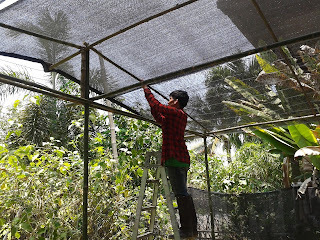 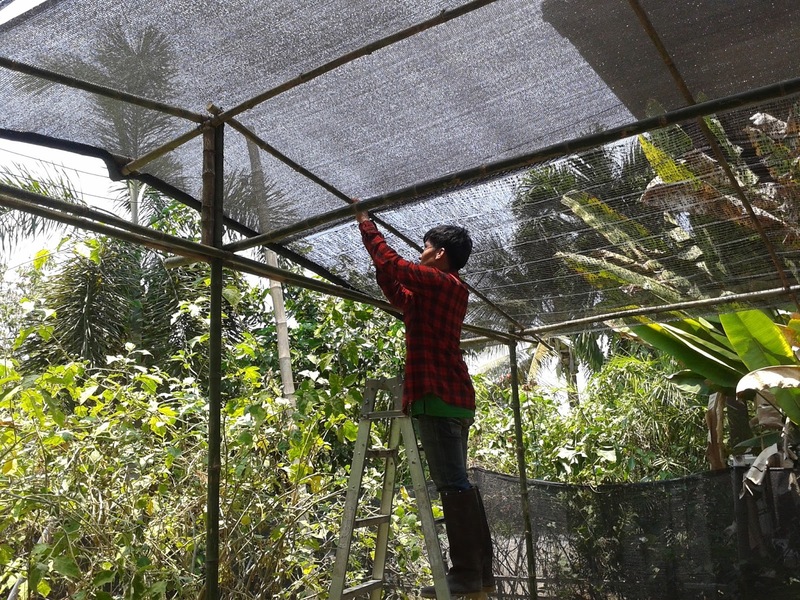 ไผ่บงหวานเพชรน้ำผึ้ง (phai bong wan patch nam phung) — A species closely related to Bambusa burmanica, but smaller in height, only about 7-9 m tall by 4 cm diameter; tight clumper, habit erect, slightly bending above, branching throughout. 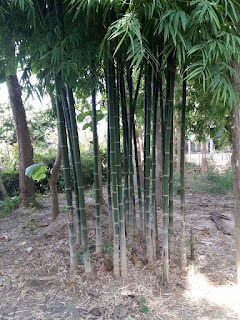 Culms thick-walled or solid. 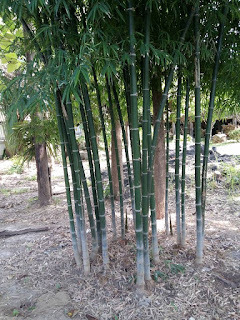 Easy growing, moisture-retentive soil, full sun, tolerates some drought and light shade. 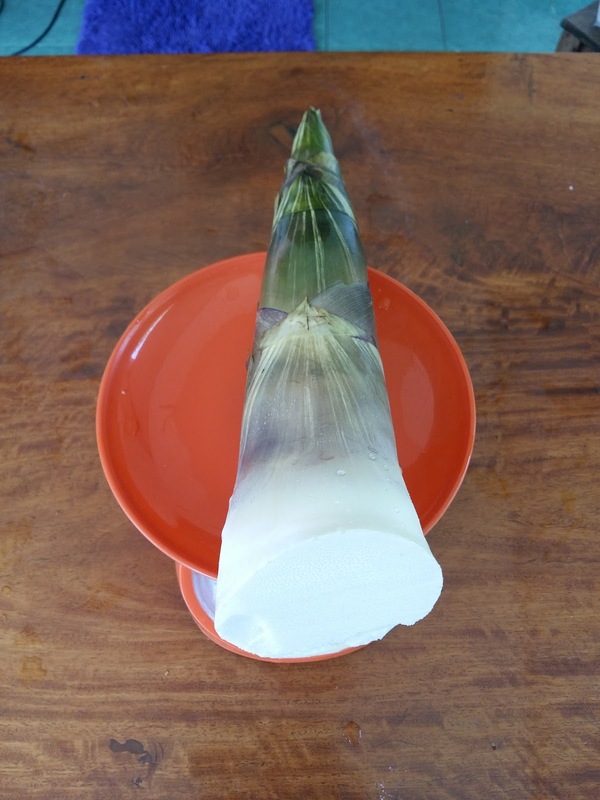 Shoots delicious, can be eaten raw. 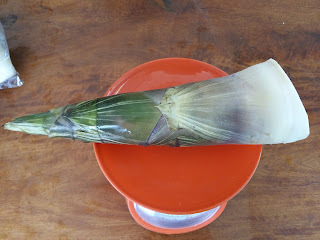 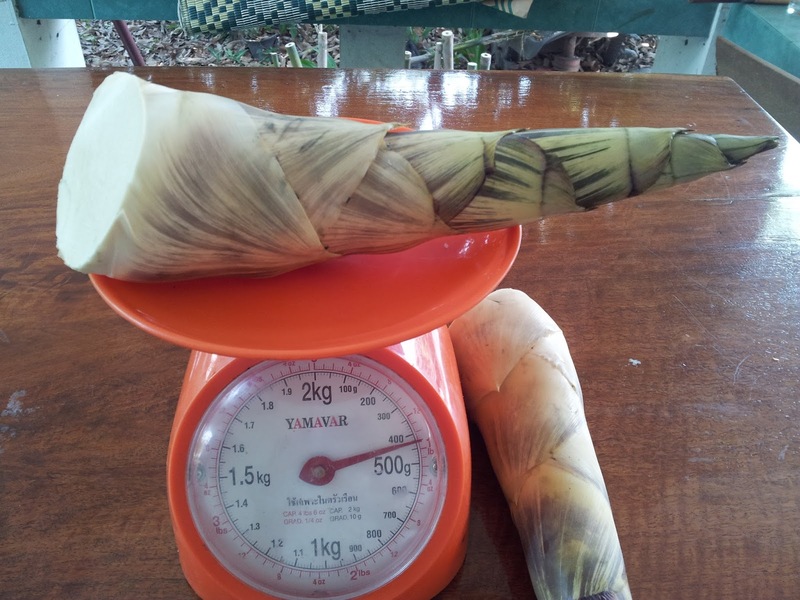 Shoots is popular for in Thailand. Plants for low to medium-sized natural hedges, visual screens, solitary or group planting. 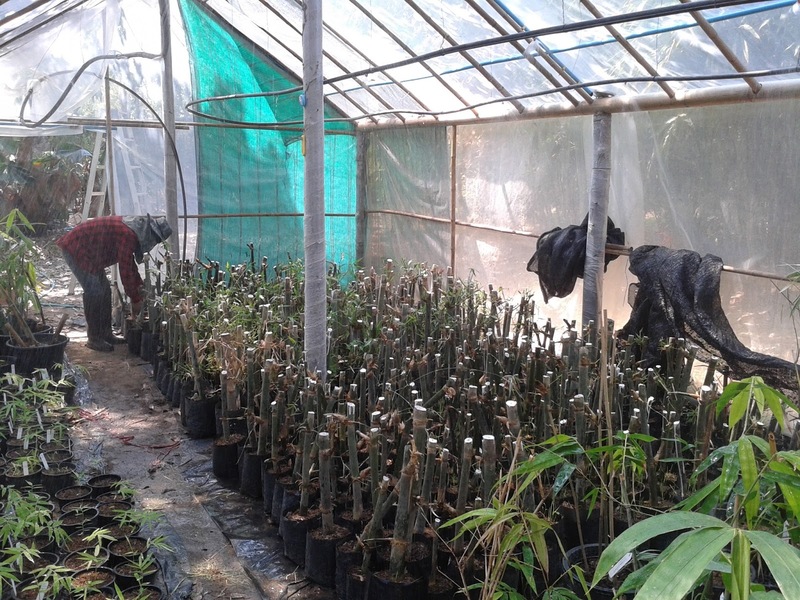 Plants for export available for sale in 2017. 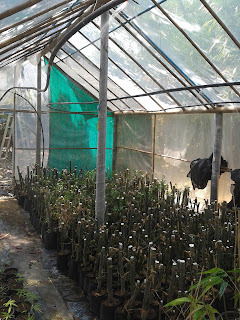 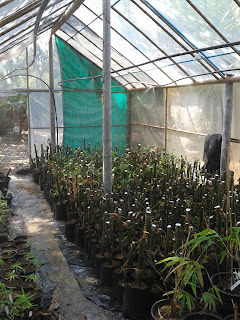 Plants for planting in Thailand available, welcome to reserve and limited. 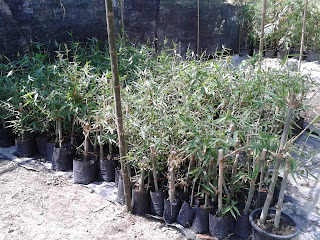 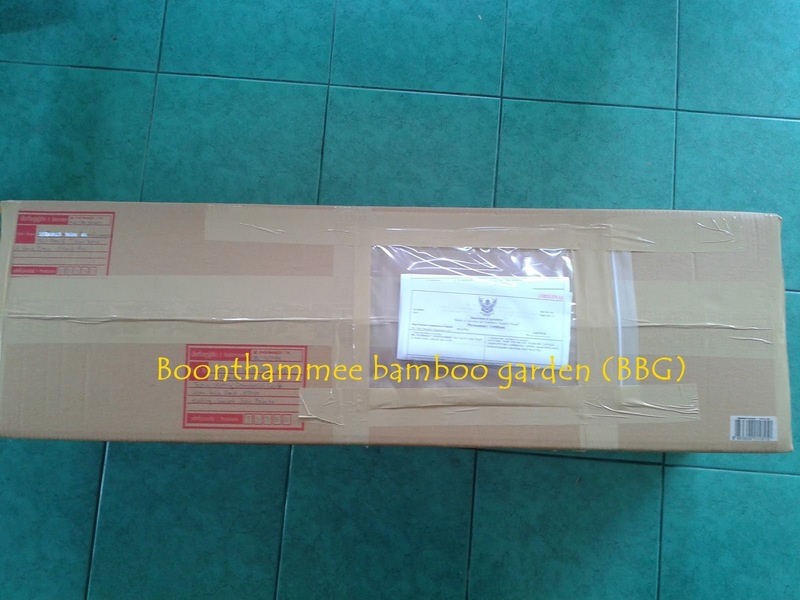 Sent Bamboo Plants to East Malaysia. 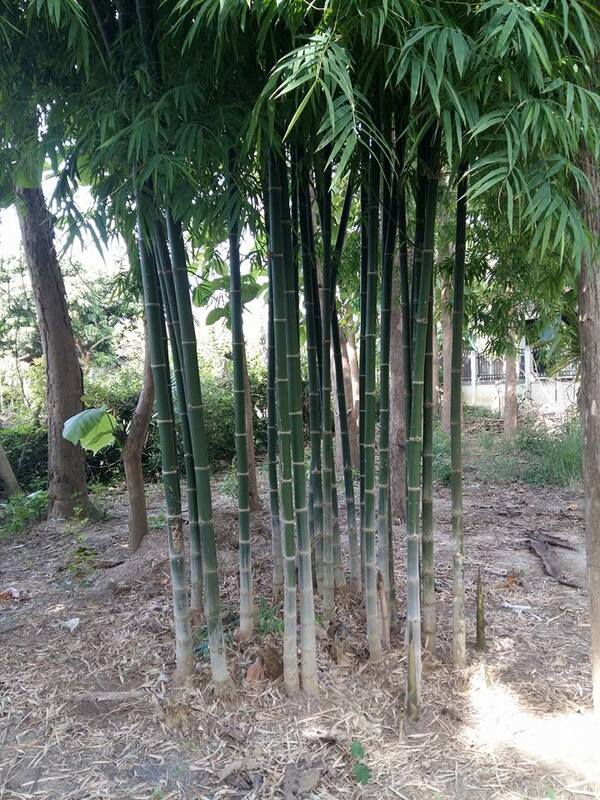 Bambusa "beecheyana" — ไผ่กิมซุ่ง (phai kim sung), ไผ่ลืมแล้ง (phai luem laeng), ไผ่ตงลืมแล้ง (phai tong luem laeng) — Height over 10 m, diameter over 10 cm. 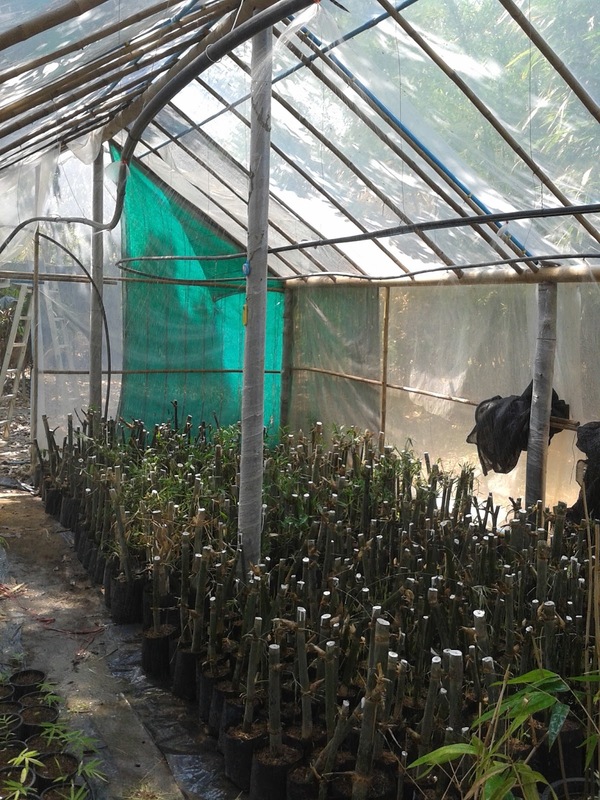 Branches on lower culm develop thorns. Easy growing, moisture-retentive soil, full sun. Shoots delicious, planted for commercial shoot production and biomass production, very drought resistant. 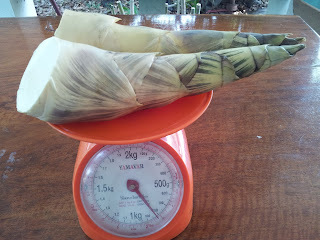 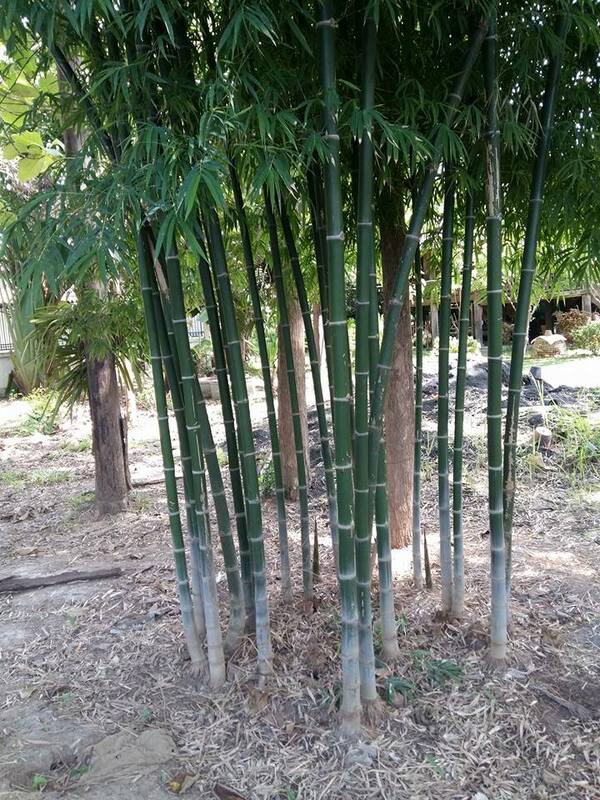 Native in south of China,Cultivated in Thailand 30 years ago, This is famous species for produce shoots in Thailand. 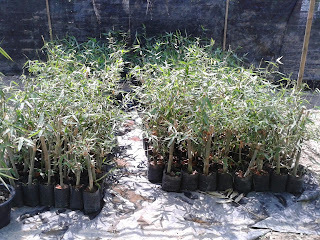 600 plants per Hectare 15-18 Ton Per Hectare. 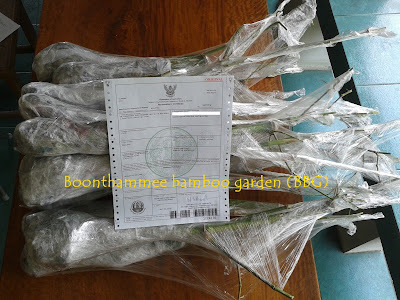 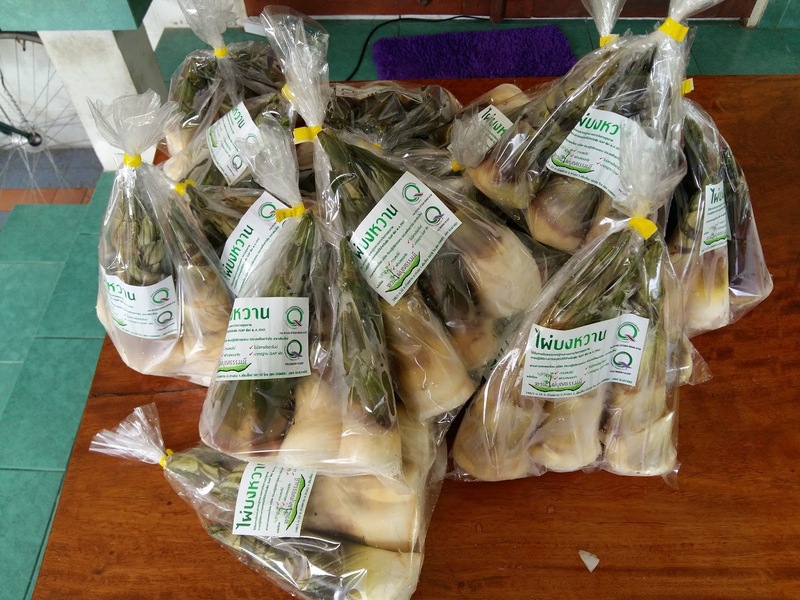 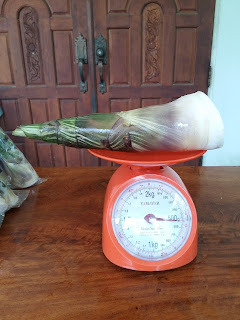 Sale price of shoots in Thailand average Wholesale price is 25-40 Baht per kg In winter to hot season, Retail price is 60-80 Baht. 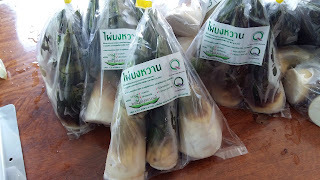 But in rain season price will be low down to 5 Baht per Kg. 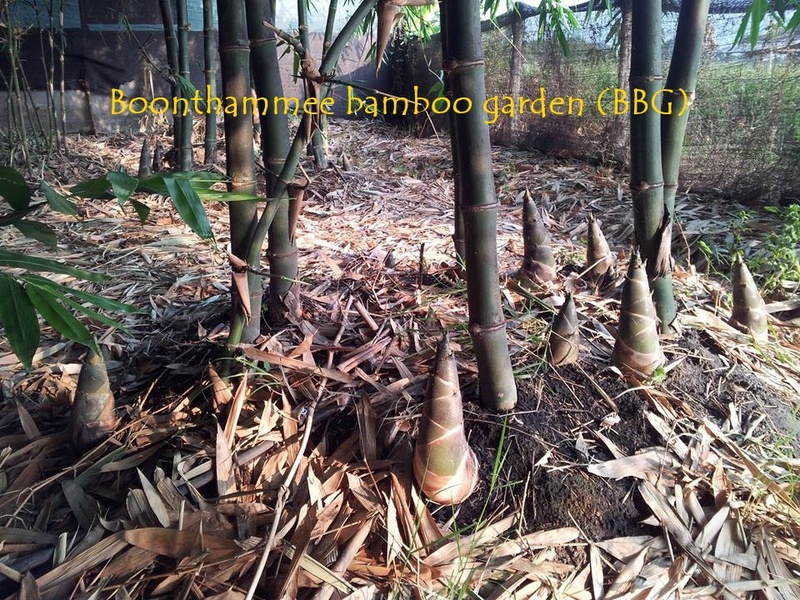 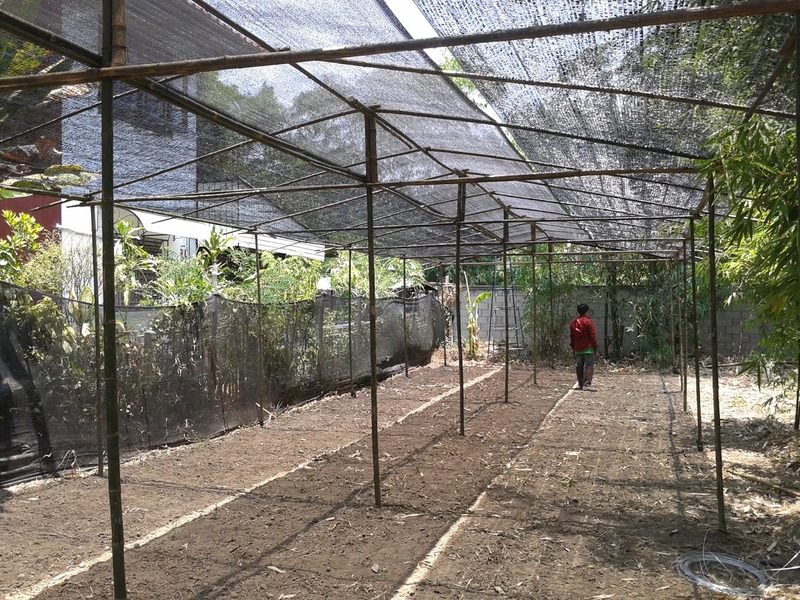 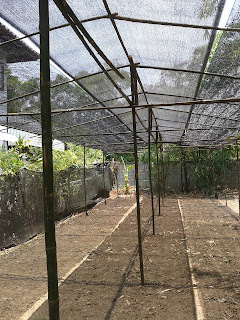 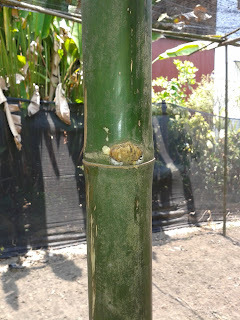 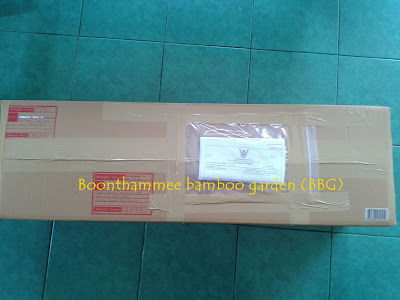 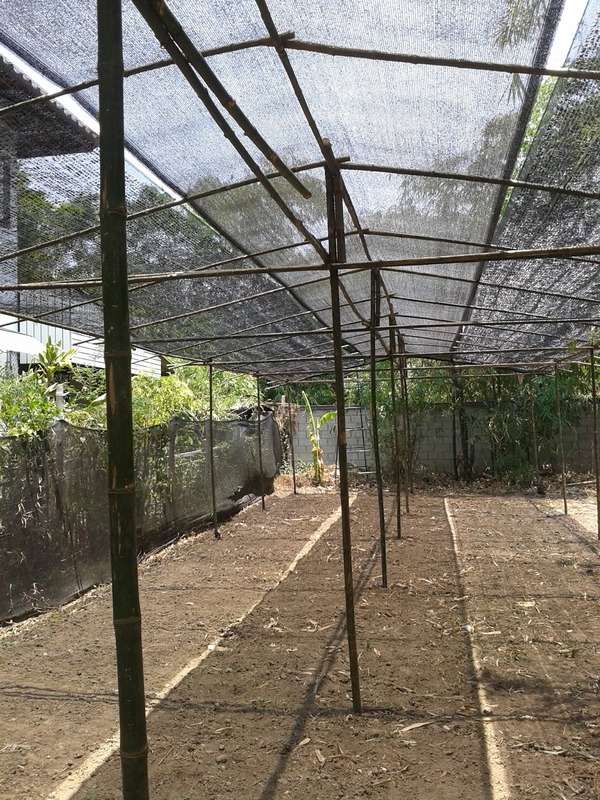 Bamboo structure 100 % from "Bambusa nana" pole , Area 5 x 18 meter for bamboo small plants after propagation. 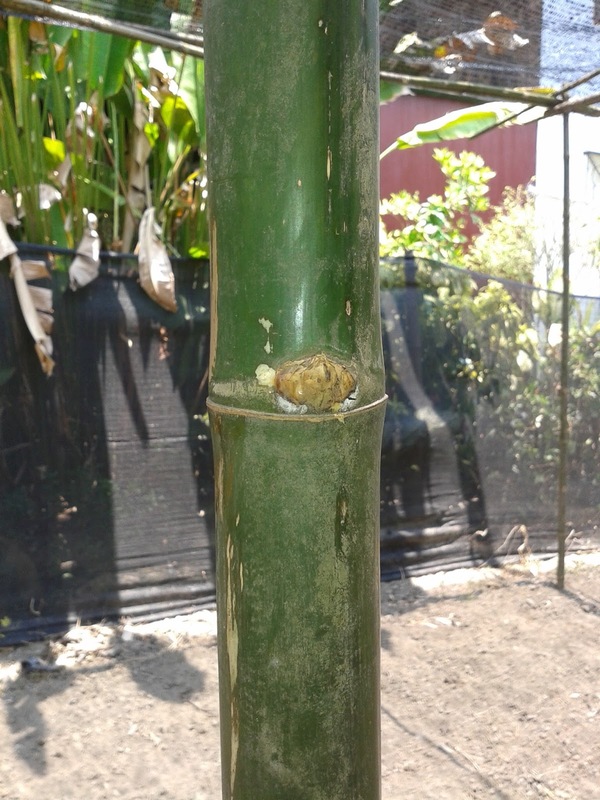 We selected stem over 3 years old for building and selected size of pole suitable for each parts.